Based in San Jose, California, Miramar Hospitality is a leading hotel and restaurant management and consulting firm. For more than 30 years, we have worked with major hotel brands and many national companies, as well as individual owners and independent clients. We provide direct management and consulting services, from hotel operations to revenue planing to marketing, as well as expertise in operational reviews, feasibility studies, and receiver and trustee appointments. Through successful management principles and strategic planning solutions, we help you stay in control of your hospitality business, which correlates to positive guest experiences and return on investment. The ultimate goal of Miramar Hospitality is Owner Satisfaction, on every level. 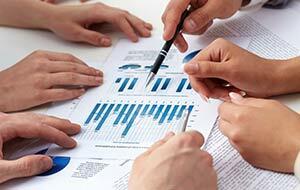 We work closely with our clients to establish and implement operational and financial goals. Our clients enjoy direct, personal attention and service from Miramar Hospitality's senior staff. Miramar Hospitality is large enough to have extensive experience, a well trained staff, and a solid reputation in the industry. At the same time, the firm is small enough to give the individualized attention so critical in the hospitality business. Each client is in complete control and knowledge of all activity. The client retains final approval of operating budgets, marketing plans, and hiring of key personnel. Our financial monitoring systems are designed to provide early warning of potential issues, for both management and owners. The components of this system include a five year plan, detailed annual budgets(revenues and costs, financial plan, capital plan, and cash flow forecast), quarterly forecasts, monthly cash updates, daily reports and recommendations for corrective action. Up to the minute communication between Miramar Hospitality and the client is assured through detailed reports and quarterly or monthly meetings. The key to enhancing short or long term profitability is to stress sound management principles. At Miramar, this includes the implementation of a strong strategic plan for each individual property. Every plan incorporates sales, marketing, capital and operating strategies. After approval by the client, Miramar Hospitality works to ensure these plans are implemented in a thorough and professional manner.